9mobile free youtube streaming is an offer from the recent aquired telecom company from etisalat Nigeria. 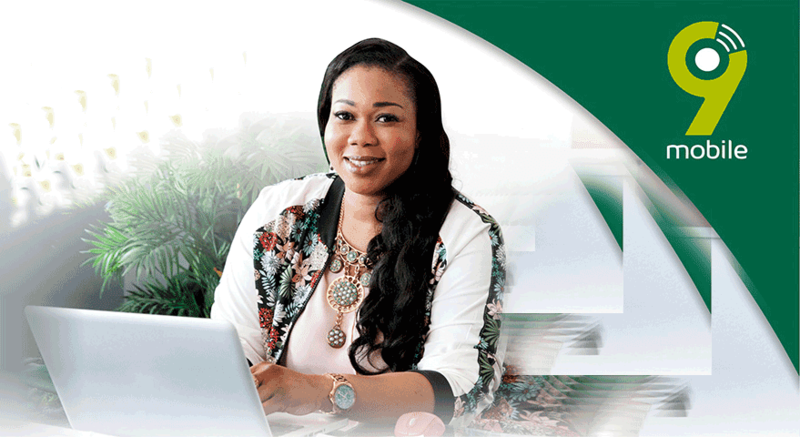 9Mobile gives this free youtube streaming to its data subscribers when they buy data from any of the monthly plans, although its not given to everyone that subscribe to 9Mobile monthly dataplan. So SIM is one of the lucky ones to get the free youtube streaming, you can setup anonytun app on your android mobile phone to browse and download with the free streaming offer. "Free YouTube Streaming" is a new offer from 9mobile that may or may not be given to those who purchase any monthly data plan. Mobile phone subscribers on 9mobile morecliq are given "Free Cliq4DNite data bonus" to browse the internet between the hours of 12AM - 5AM, so this free YouTube offer gives some customers who purchased any monthly data plan free YouTube Streaming bonus. This Free YouTube Streaming bonus can be converted to 2GB of data at the same time, to browse or download through the night, so yes, its not unlimited. Subscribe to any 9Mobile monthly plan, then make sure you have received the YouTube bonus in a text message like this; "Enjoy free YouTube streaming from 1AM-5AM daily.". Tap on "Stealth Settings" and toggle it on. Connection port - input 8081. 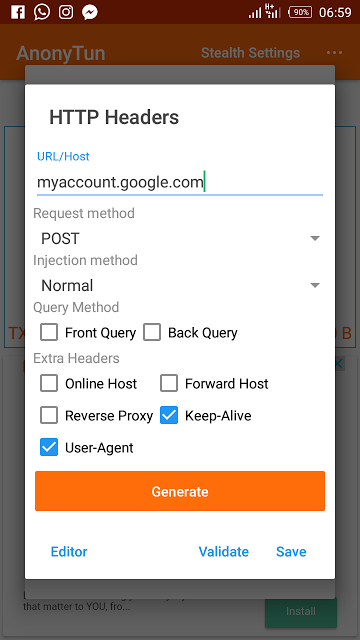 Tap and Toggle on the "Custom TCP/HTTP headers"
Tap on the "EDIT CUSTOM TCP/HTTP header"
Set Request method to POST and set Injection Method to NORMAL. 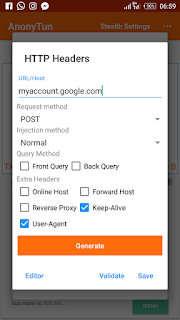 Under extra headers; tick USER-AGENT and KEEP-ALIVE. 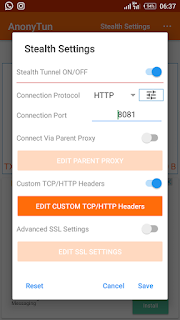 Thats all, the anonytun VPN apk will connect and the 9mobile YouTube free browsing bonus will power all applications on your mobile phone. Enjoy! Admin does 9mobile have the YouTube streaming as a standalone data plan?